Australia Day Blog Hop Giveaway! Happy Australia Day weekend! I’m participating in the Book’d Out Australia Day Blog Hop. There are lots of giveaways at all the participating blogs, you can check out the list here. But first, read on for a chance to win two prizes from me! One is open internationally, and one is just for the Aussies. Contest closes midnight 27th Jan. If you’ve read my books you’ll know that I’m a fan of using fictional settings. Out of the 7 books I have published, only 1 (Starstruck in Seattle) is set in a real place (Seattle, obviously!). However, my fictional settings are often based on real places, but I adjust them to suit the story I’m creating. What I love about fictional settings is the ability to create something new and to put things where you want them! There is no risk of making a mistake, because you made up the town, so what you say goes! 😉 But you do have to keep track of what you’ve created, street names, where various landmarks are, etc, because if you write another book set in the same place you need to be able to recreate the setting for the new story. 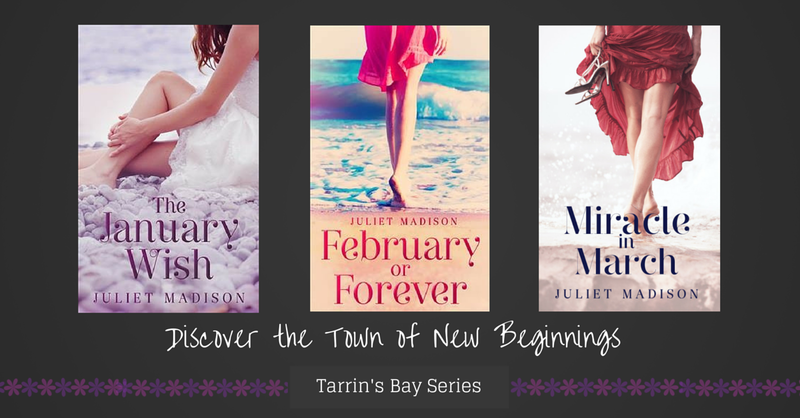 Take my Tarrin’s Bay series for example (based on the NSW south coast, Kiama mostly)… by the end of it there will be 12 books set in this small Australian coastal town, and I find as I write each one (currently working on book 4) that I’m creating new aspects of the town as I go. 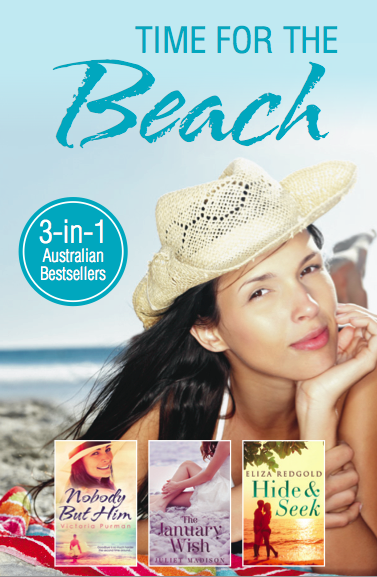 1 print copy of TIME FOR THE BEACH 3-in-1 Bestsellers, autographed by me and including my story THE JANUARY WISH, as well as NOBODY BUT HIM by Victoria Purman and HIDE & SEEK by Eliza Redgold. 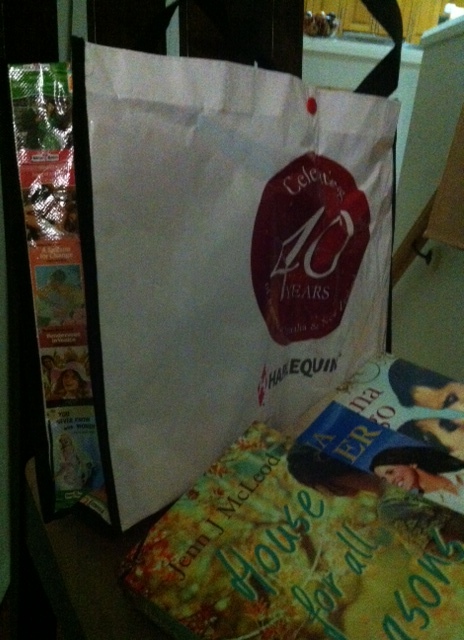 1 limited edition vintage tote bag from Harlequin Australia (I had two so I’m giving one away! Front & back pictured), containing the following 4 books from Australian authors: LUNA TANGO by Alli Sinclair, THE OUTBACK HEART by Fiona Palmer, HOUSE FOR ALL SEASONS by Jenn J McLeod, and ASK ME TO STAY by Elise K Ackers. Once you’ve entered, remember to visit the list of other participating blogs to enter more giveaways, HERE. >>To check out my available books, visit this page. Like my Facebook page to keep up to date with my new releases and news. >>You can also preorder my next Tarrin’s Bay book*, MIRACLE IN MARCH for the limited time price of only 99c at iTunes. *Although part of a linked series, this is a stand-alone story and can be read before or after the other two books available in the series; THE JANUARY WISH and FEBRUARY OR FOREVER. Good luck! Winner notified via email and in the comments on this post within 7 days from 27th January. Posted on January 24, 2015, in Competitions and tagged australia day, australian authors, blog hop, book'd out, giveaway. Bookmark the permalink. 39 Comments. I love the Sunshine Coast, QLD. What’s not to love? I have family there, so that’s a bonus. Hope you get to visit one day Shari! I love the coast of Australia and also enjoy outback settings although not keen to visit there so much. What do I like about the coast? Your beaches are fabulous to walk on and I love to swim there in our winter (NZ) because it’s warmer your way. I’d love to visit Cradle Mountain and do the walk after reading about it in a Cate Kennedy book. I have to give another vote to the Sunshine Coast of QLD. So very beautiful and not as built up and crazy as the Gold Coast so its easier to relax. Love New Norcia in WA. The only monastic town in Australia, steeped in history. HI Juliet, fabulous giveaway. No need to enter me as I have all of these books bar one and the gorgeous tote *sighs*! Just popped over to show my support of our great Aussie authors. I love all sorts of hidden places. I’ve not travelled very much, but there are some nice little hidden areas in places like NSW to take photos. I love forest areas very much because there are all sorts of wildlife to photograph. As a Melbourne girl, I do enjoy Kerry Greenwood’s depictions of Melbourne in the 1920s. But Helene Young is rather good at writing about the far North and making it sound beautiful and appealing, even to someone like me who loathes the tropics! I have family living in Australia so I would visit them. My brother lives in Queensland and I have a brother and sister in New South Wales. I love reading about the outback of Australia the rich dry and very vast land. I’ve never been to Western Australia or Queensland so to visit either would be a wonderful journey. It really is a unique place, and outback Australian stories are so popular. I’d love to take my daughter (eight) to Tasmania. We could do so many things around Hobart and do some short walks in Freycinet National Park. Speccy indeed! LOVE Port Douglas! Happy Australia Day. Driving the Australian coastline is our favourite get-a-way. Always have to dip my toes. I recently read Nest by Inga Simpson and she does a great job of writing ‘place’. Her descriptions are very much spot on! What a great selection of books – I love reading Australian books because you know where they are talking about, a few times I have been reading a book and been in that actual area at the time! I love reading fictional books set in Australia in the early 1900’s and working on the land, it makes it sound so romantic and just want to be transported to those times. 1. TIME FOR THE BEACH – Veronica! 2. 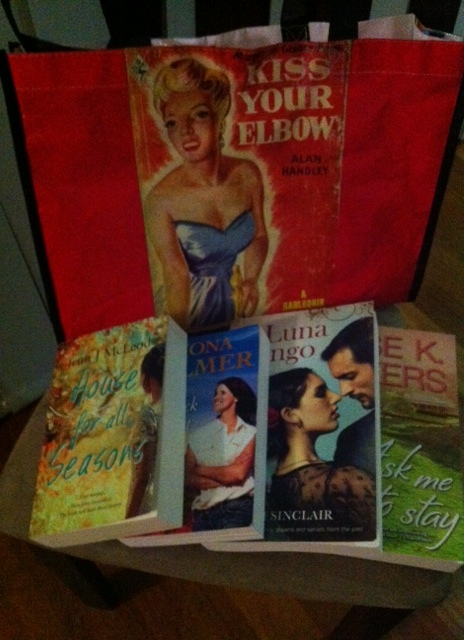 TOTE BAG AND 4 BOOKS – Mary P! You have both been contacted via email so please let me know if you don’t receive it.